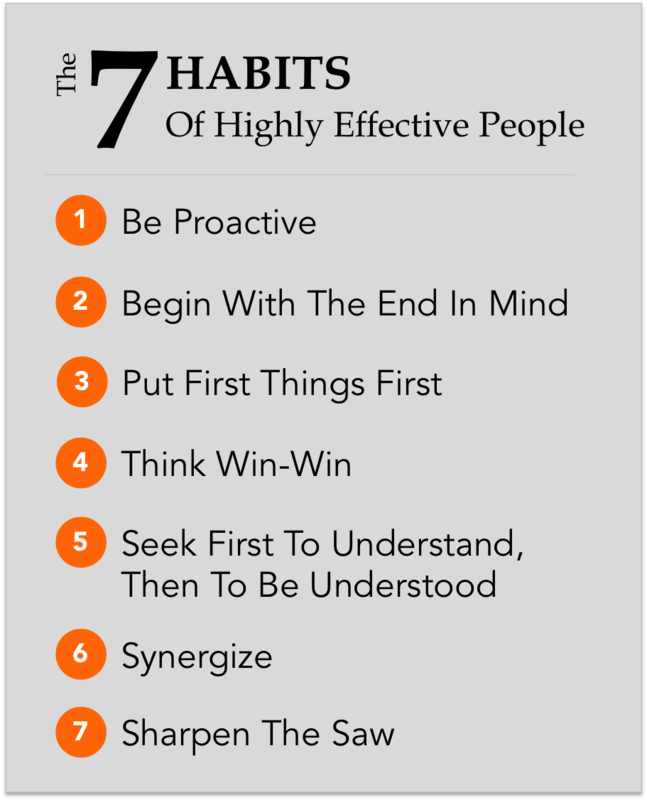 The 7 Habits of Highly Effective People by Stephen R. Covey is a self-improvement book. It is written on Covey's belief that the way we see the world is entirely based on our own perceptions. In order to change a given situation, we must change ourselves, and in order to change ourselves, we must be able to change our perceptions. In my personal opinion this book was a fantastic read... and re-read. It held some super important principles that I have applied to my everyday life and have since made great headway in many financial areas, solely due to these principles. If you want the 7 quickly without more of an in depth look, I have them listed just below. However, if you want to see and hear some real life examples I've experienced using these principles to make financial gains, stay tuned. Okay let's start off with numero uno. If you want to take charge of your life you have to stop waiting for chances to come by, situations to change and bad people to remove themselves ,YOU have to start taking massive accountability and responsibility. Stephen explains that there are two distinct types of people in society and 'winners' and 'losers' can be easily identified depending on which type of category you fall into. The first, PROACTIVE, accounts for only a mere 2% of our entire population and that's why these individuals are the 'Dons. To be proactive means to take charge of all situations by changing your perception around them. In simple form, this basically means to stay positive and hold yourself accountable. Got fired? Don't have a fu***** whinge, look at it as an opportunity to get serious about finding a more suitable or higher paying source of income. Found out your sick? Look at how bad a lot of other people have it in life and then start getting smart about your choices in moving forward. yes, yes... way easier said than done, but you can see why this makes up only 2% of our population. The Second, is 98% of us..... chances are... well I'm not saying... but...... okay yes, it's probably you.... it's known as REACTIVE. 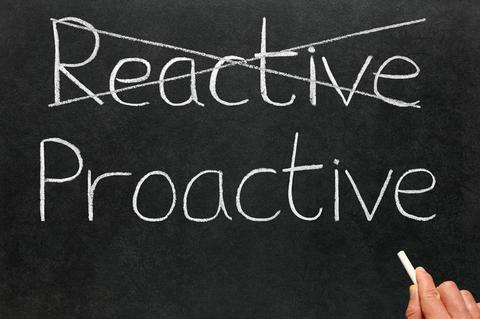 Whilst pretty explanatory, being reactive is another word for playing the victim card. Why me? Why did I get sick? Why do they not listen to me? Why is my job so hard? Why did she get the promotion? The best way to find out how often you actually whinge is to take a fresh notebook around with you for one day and every time you find yourself complaining, write it down. What you'll surprisingly notice is that you complain quite often, and usually about the same thing each day. Once your aware of what it is that is troubling you, ask yourself why haven't you done anything about it, then make a course of action and fu**** get to it! When have you actually taken a step back from the rat race that is our everyday life and looked at what you truely want? The most common response is "enough money to pay off my house debt and just enough to survive", if this is you..... I don't want to say you're not doing it right, but your not. Stephen explains that we need to get the actual metrics of what we want, so we can start working towards what we truly desire. In his novel he shares a great guided practice which I would like you to try now. Sit back, and visualise your funeral. Who is there? What are they saying about you? What questions are you asking yourself? Did you really take the leap? Try what you want? Do what you want? If you've got a daily to-do list your already one step ahead, if you don't... start with that. Now let's get a little deeper with our list. Break up your daily list into 4 distinct quadrants, number 1 being the most important to you and number 4 being the least. Define your daily 'chores' into each. When you think about it in a whole, if spending time and having a positive relationship with your family members is in section one, why do you spend so much time on activities that are usually in quadrant 3 or 4, such as watching tv. Basically said, Stephen is telling us to shape up and get our priorities right. He obviously goes a lot more in depth in his novel but this tip is really the easiest and most self explanatory of the lot. Do what is truly important for you. If you didn't know... I didn't before reading this gorgeous little novel, there are 6 distinct types of human mentalities when it comes to taking about goal orientation. 1. Win-Win (The Creme Da La Creme) aim for this one. A mutually beneficial arrangement. If we are to look at nature as an example we have the shark and the feeder fish. The shark gets a nice clean body and the feeder fish get a free feed and protection. 2. Win-Lose - Commonly seen in a large portion of the business world unfortunately... I get something, you get nothing. Hmm, we know this isn't a 'lasting' method of choice. 3. Lose - Win - Yes this one is different, this mentality basically has the view that if i'm losing, you must be winning. THIS IS A VICTIM MENTALITY. 4. Lose-Lose. Both people lose... yeah not good. This is where ego's such as mine come in to play and end up causing negative situations, that could have easily been avoided. Ahhh well, let's be proactive and move on. 5. Win... I find myself in this catgeory most often even though it's probably not as good as a win-win. People with a sole winning mentality basically just focus on winning in situations every situation they can. Whilst they still aren't hoping others lose, benefits could be magnified if the winner thought about a way to make both parties win. 6. Win Win or No Deal. If you can't reach that situation of a win win, simply say 'no deal eddie' and move on. From a simple stand-point Stephen says we have to start actually listening to people rather then waiting to throw our opinions in as soon as they go to take a breath. Stop. Listen. Then Before Offering Advice, Suggest Solutions and let the other person come to the conclusion themselves. Firstly, they will appreciate the fact you're actually listening, second they don't have to evaluate whether or not they like your opinion, and finally they will mostly appreciate the fact you helped them to feel important because they came to the conclusion themselves. Stephen also speaks on how we need to start using engaging body language more often. When someone speaks to you, put your phone away. By having your phone out your showing them subconsciously, that they are not the most important thing on your mind right now and if a 'notification' pops up, that demands more attention from you, then they deserve. One of my favourite words! A synergistic relationship is one where both parties mutually benefit (Think Win-Win). Think of what we mentioned before, about the feeder fish and the shark, both parties get a win. When you find a way to synergise with others, not only will the relationship between the two parties be healthier, but it will also be much easier to persuade people to help you with your intrinsic motivations. A great example in Instagram marketing that I use is called affiliate marketing. Companies give me free products that I enjoy and get to keep in exchange for a promotion to my audience, who are also interested in that product. I get a win, by getting something I want for no money cost and the company gets a win by getting promotion to heaps of potential customers. Try to find ways in your life that you can turn exisiting relationships into synergistic ones, it will make life a LOT easier. In Stephen's book he gave a great example of a very catchy little story. Two men both set out to cut down a huge tree. The first men gets stuck straight into it without blinking an eye, as he knows that by working harder and faster than the other man, he's sure to have his tree cut down in no time at all, and then he can sit back, cash in his loot and enjoy the good life, while the lazier man keeps on cutting. 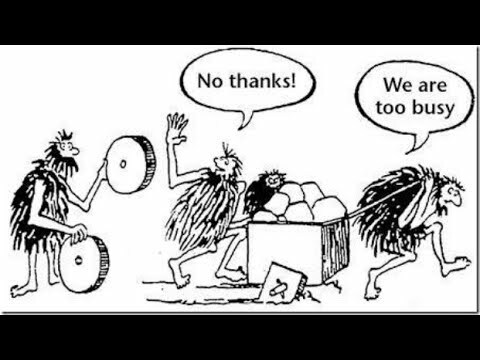 Think of this as the 'Work Hard' approach. The second man however, takes a far different approach. He sit's back, pulls out a sharpening tool and begins sharpening his axe. Man one laughs at the second man, scoffing that if he sits around all day he'll get absolutely no work done, and surely he can't beat me then. Days go by and man one is hard into work and has already cut of a big section of this humungous tree, however his hands are beginning to get sore and so is his back. He thinks to himself, "Look at this idiot sharpening his axe still, he has cut no wood yet and I'm smashing through mine, if I keep working hard, I'll beat man one in no time". More days go by and man two is still sharpening his axe. This carries on for a few more days until man one is nearly finished with his tree, however man ones axe is now very dull and cutting down the remaining parts of his tree is very hard as not only his axe blunt, but his hands and back are extremely sore. Finally, man two stands up, walks over to his tree and begins to cut. In no time at all man one cuts cleanly through his enormous tree and begins to gather his spoils at haste. Within a matter of hours man two has completely cut his tree and did what took man one days to still not complete. Man one lays down exhausted, still not finished cutting his tree and complains that man one had an unfair advantage, as his axe was far better. Man two leaves man one to sit and reflect on himself, telling him to learn to 'Work Smart, Not to Work Hard'. Stephen portrays a very important message which carries over into our working values and beliefs quite harshly. The majority of us work hard by believing that the hardest working man/women is right for the spoils, we see the people who seem to be getting 'lucky' all the time and they are just spoiled and don't know the meaning of a hard days work. However, a lot of these 'lucky' people sat in the dark for the majority of their time, sharpening their axe. (Their Skills). In todays society, be the person who sharpens their skills, rather than being the person who jumps straight from school, to university, to work. That is the old method of winning. I strongly agree with Stephens last point and think that this is an approach I will start adapting to all areas of my life, whether it be financially, mentally or physically. 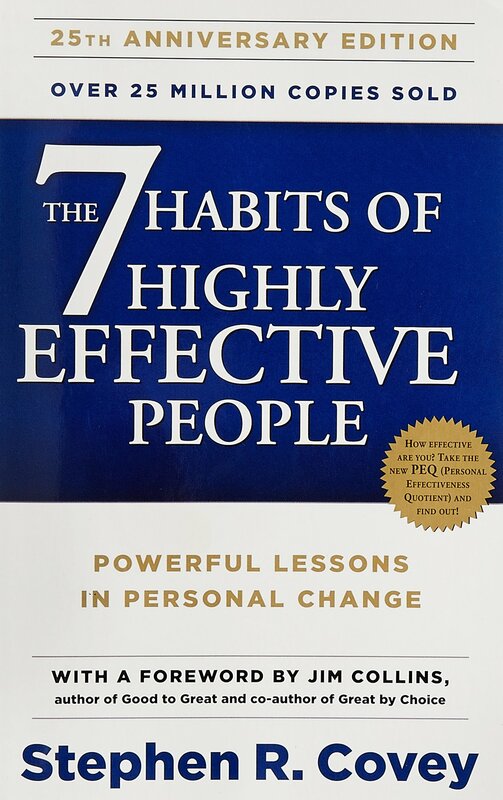 This was my review of the 7 Habits of Highly Effective People and I hope you enjoyed it. If you have any questions about the book, or have read it yourself, I'd love to hear your thoughts in the comment section.